When you are lucky enough to live in California, occasionally you have to jump in the car and revel in the reason that you pay so much money to reside here: sumptuous scenery, beautiful beaches, wonderful weather, all accented by fabulous food and wine in one quaint or quirky town after another. 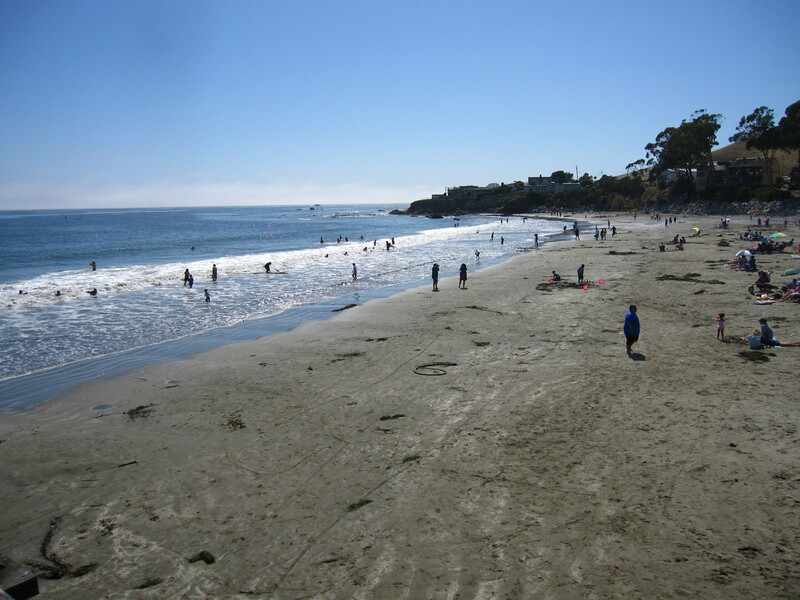 On the long July 4th weekend, we did just that with another family, driving to the beautiful central coast of California, defined by Santa Barbara at the south end and Paso Robles on the north end. Here’s a rundown of our favorite adventures along the way. We started our trip in Shell Beach, just south of San Luis Obispo and adjacent to the popular beach community of Pismo. The Dolphin Bay Hotel is located right on the ocean, with large 1 and 2 bedroom units for rent. 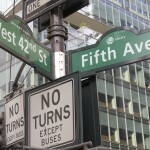 We enjoyed modern amenities and warm, attentive service, with just a few missteps along the way. But based on location and size of the rooms and overall ambience, I would be a repeat customer. Our goal the first day, at my request, was to visit the famous Thursday night Farmer’s Market in San Luis Obispo. As it turned out, our travel mates arrived in time, but we didn’t. So I lived vicariously. Despite the crowds, they managed to buy breakfast for the next morning and find some great barbecue for dinner. Many local restaurants have set-ups just for the Farmer’s Market and sell some fabulous street food each week. While we waited for our friends to return from the Farmer’s Market, we explored the hotel bar and restaurant, ending up on the patio watching a beautiful sunset on a perfect coastal evening. 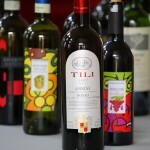 Not surprisingly, the bar menu included many wines from the region. We ended up ordering a bottle of Pinot from a local vineyard called Tolosa – the Spanish and Italian word for Toulouse as well as the name of the local mission. We started with a 1/2 bottle of their Edna Valley 2006 and immediately regretted the decision – not the wine, but the size of the bottle. 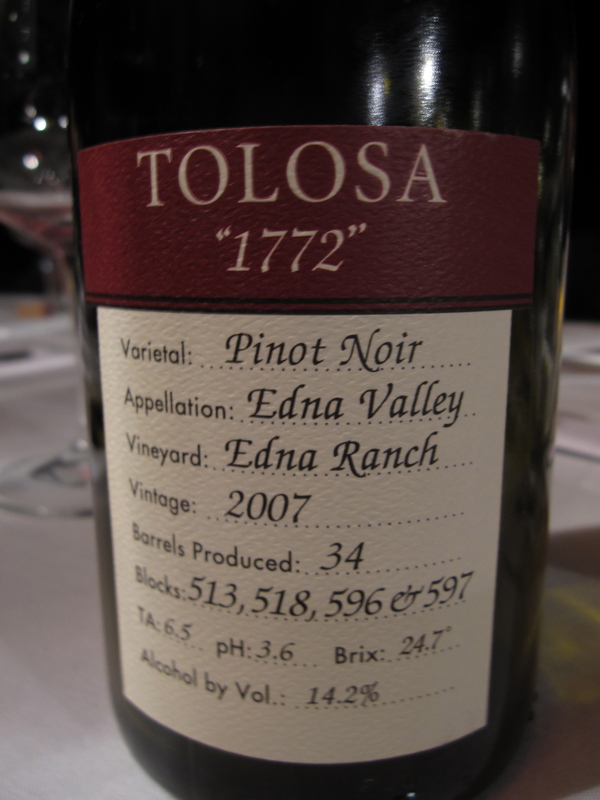 When our friends returned, we ordered another bottle, this time Tolosa’s “1772” Pinot which convinced us to visit the winery the next day. We toured the university since each family has a rising high school junior in our midst. Loved the campus, loved our tour guide (who joked that the female/male ratio in the engineering school is described as: “the odds are good, but the goods are odd”), and loved the teaching theory of the school: Learn by doing. 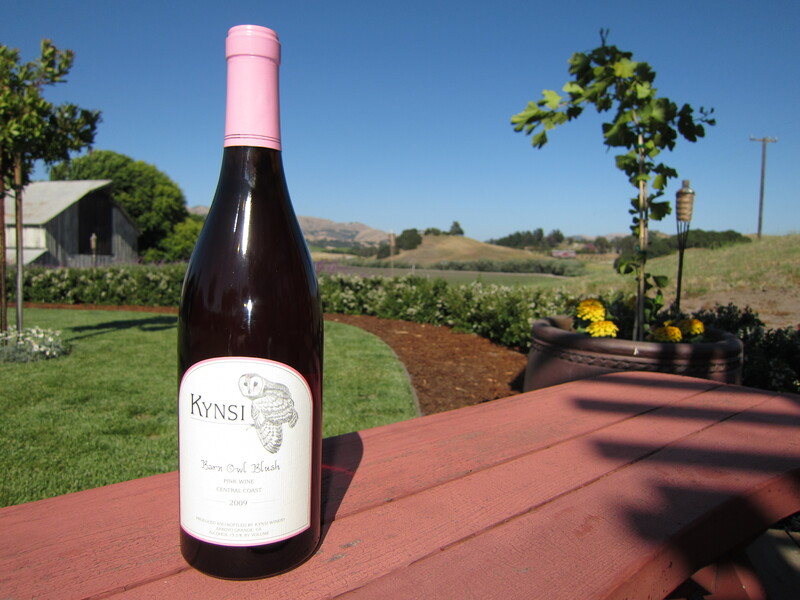 After touring Cal Poly, we left the kids poolside at the hotel and headed into the local wine region to visit Tolosa and one other winery called Kynsi. Tolosa’s tasting room and grounds matched the beautiful flavors of their wine – convincing us to leave as members of their wine club. We also enjoyed the sips and scenery at Kynsi, a small winery only 5 minutes from Tolosa. We especially enjoyed a rosé done in the Provence style. Since @dormantchef had just returned from a business trip in Aix-en-Provence, he was smitten with Provence-style rosés and was happy to find an accessible American version. At the suggestion of my dental hygienist, who’s been vacationing in Pismo for years, we headed to the small and crowded Cracked Crab restaurant for a bucket of crab, sausage, potatoes, and corn. Of course, for these two foodie families, the ordinary crab and shrimp bucket was not enough of an extravagant adventure. 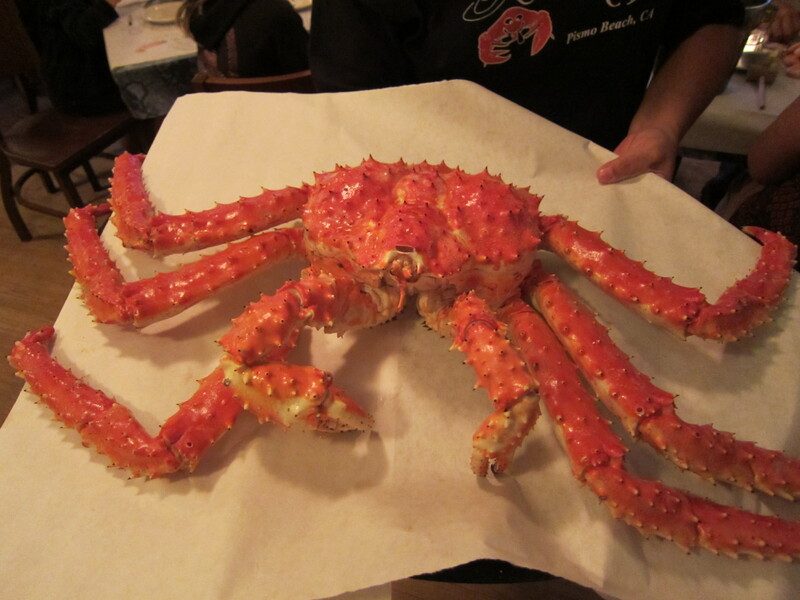 No, we decided to get the giant red Alaskan crab instead. It was OMG! HUGE but also insanely yummy! And they offered us every possible tool to be sure we didn’t miss a thread of that delectable, succulent crab meat. And with a minimal corkage fee, we were able to enjoy some of that new wine we had just purchased that afternoon with our fabulous feast. Each morning the other mom and I took a long walk by the beach. The second morning we met a delightful older woman near the end of our walk who asked if we were out this far to see the century plant? We said no but asked what it was and if she would show it to us. She told us it only blooms every 35 years or so (despite the century name). 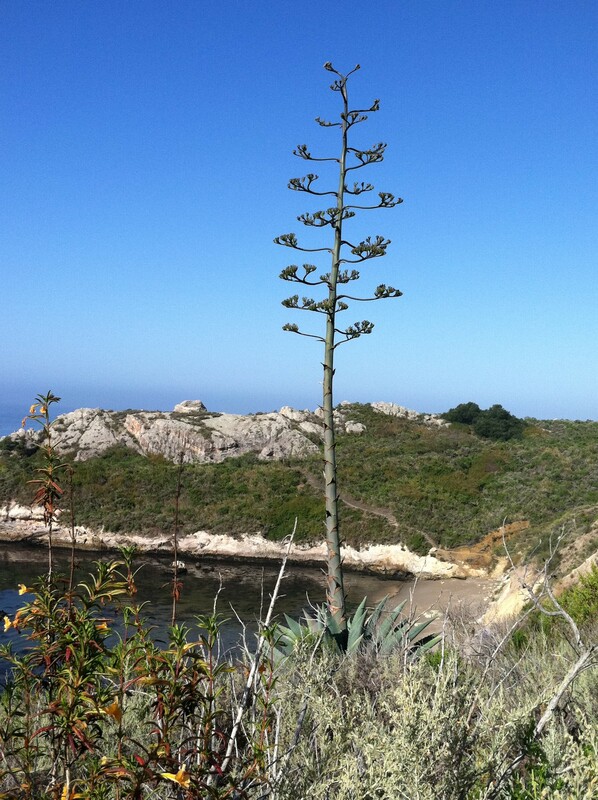 So we double-backed and walked to the end of the path to see this beautiful plant almost in bloom. It was magnificent looking and only days away from the flowers’ full eruption. After we arrived back at the hotel, we rounded up the rest of the family and had a wonderfully inventive and delicious breakfast by the beach, with the weather once again clear, sunny, and warm. The two stand-out breakfast items were the duck hash and the brioche french toast, with the blueberry pancakes coming in a very close third. When we arrived at this tiny local restaurant and saw the amount of seating and the line, we hoped the food would justify the waiting. The Splash Cafe is known for their clam chowder as well as their fried and steamed clams. None disappointed. The chowder in a bread bowl was rich with flavor and clams, and the bread was artfully toasted on the inside of the top making it the perfect dipping vehicle. The fried clams brought back memories of a childhood in Massachusetts and the steamed clams were just plain amazing with a tomato-based sauce that we didn’t stop dipping into until every red speck was gone. Don’t go for the ambience but don’t miss out on the food. 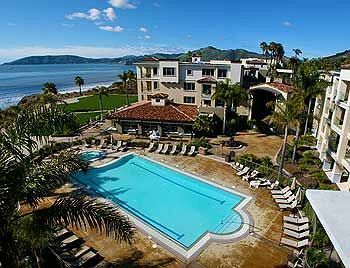 After sadly leaving our big beautiful rooms at the Dolphin Bay Inn, we moved to San Luis Obispo for one night. After so much rich food over the last 24 hours, I searched for a farm-to-table type restaurant in town with healthy but delicious offerings. 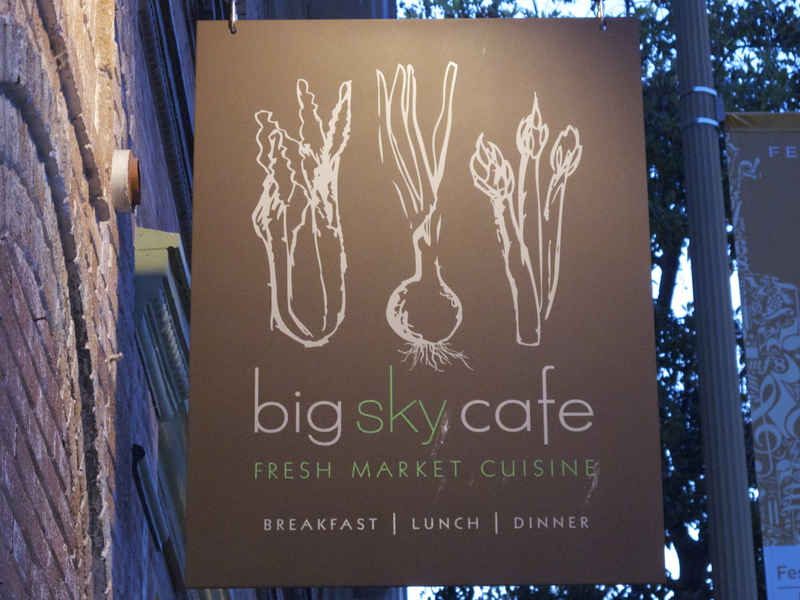 The Big Sky Cafe came up in my search, the menu looked intriguing, so we headed in that direction. The menu was eclectic ranging from jalapeno cornbread on the table to an ahi appetizer, to giant dinner-sized salads to a Persian-influenced lamb dish. None of the food was amazing, but it was all good and fit our taste buds perfectly that evening. And the local wine selection by-the-glass was terrific. When our friends went to the Farmer’s Market, they saw a really long line for BBQ ribs that they chose to avoid but couldn’t get the ribs out of their mind. 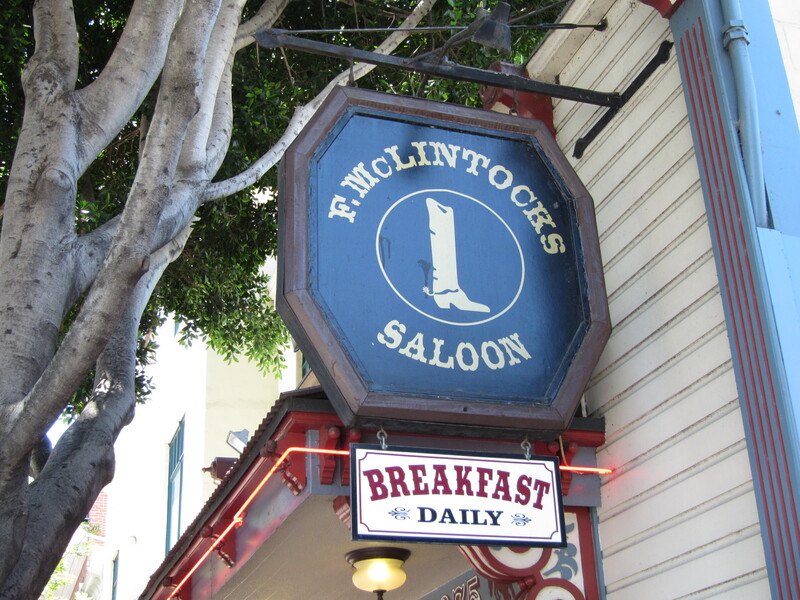 So on our way out of town, we found the restaurant, F. McLintock’s and had lunch there. We tried the baby back ribs and the beef ribs. The beef ribs were remarkable – conjuring up visions of those priceless ribs leftover on Christmas Day after the prime rib has been served and devoured. If you’re a beef lover, admit it – you don’t buy the prime rib for the meat, you buy it for the leftover bones! In a few months, I hope to be heading back to the Central Coast for a girlfriend reunion. In preparation, one of our friends shared an article from Elle magazine about food, lodging, and shopping finds along the coast. 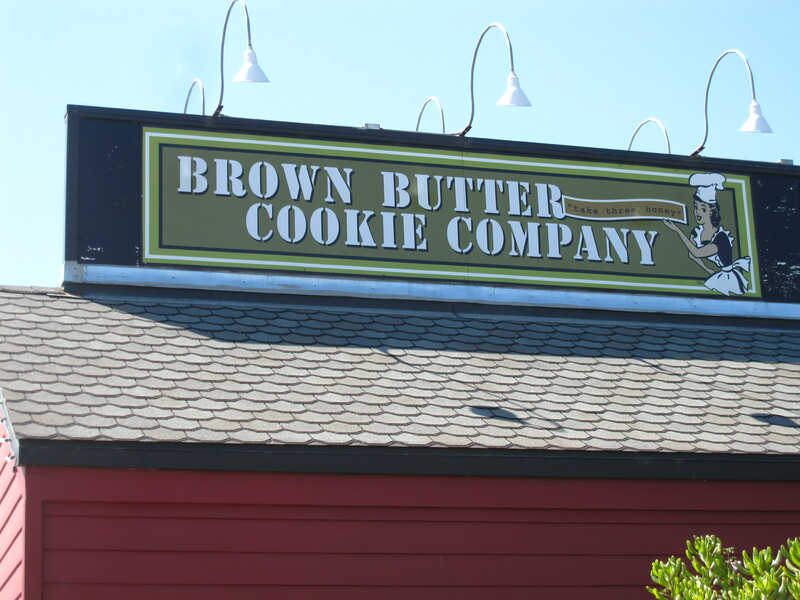 After perusing the article, The Brown Butter Cookie Company caught my eye and I just had to stop. So we took Hwy 1 north out of San Luis, past Morro Bay and then stopped off in Cayucos – an idyllic little beach community that was all decked out in July 4th regalia. We quickly found the cookie store and after a few free samples (their successful! marketing method), we were walking away with over $40 of cookies. After all, we hadn’t ingested enough over the last 72 hours – why stop now?! 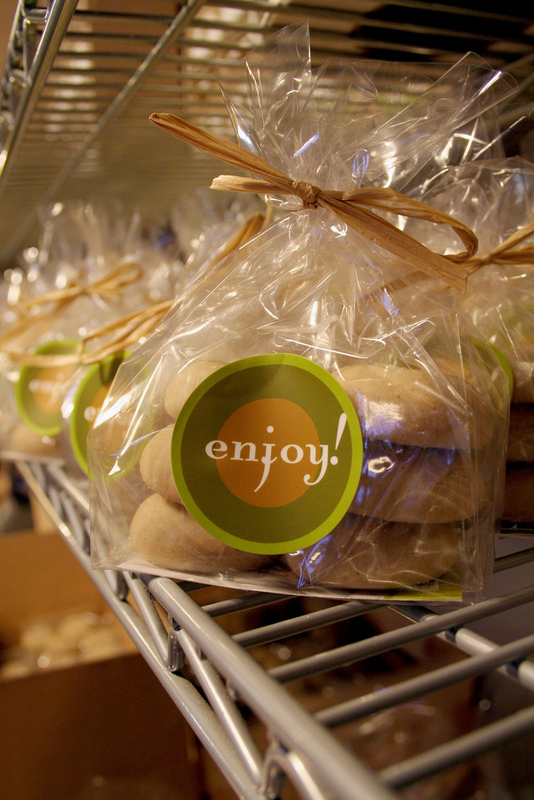 Their cookies are made with brown butter and sea salt. Though they come in many flavors, our two favorites were the original shortbread and also their honey sea salt chewy version. And the the free lemon cookie they gave us after our bill rang up past $40 was crunchy, chewy, and bursting with lemon flavor. Not to miss an opportunity on the long drive home, we pulled off the Hwy 46 to stop at Turley Cellars – known best for their Old Vine Zinfandels. We walked in right before closing, enjoyed the air conditioning and a quick taste of a few new vintages. After a couple of family photos on their newly redesigned outdoor patio, we hugged our friends goodbye, heading home with a car full of wine, cookies, and tired vacationers who were already planning the next voyage. 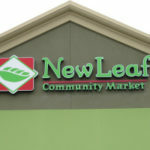 New Leaf Community Market Evergreen is OPEN! 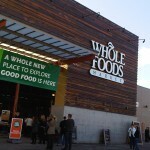 Whole Foods Opens in South San Jose! Stop complaining! 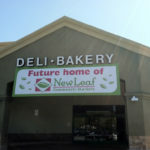 New Leaf Community Market is coming to San Jose. And will have to research some more. We honeymooned in Pismo. 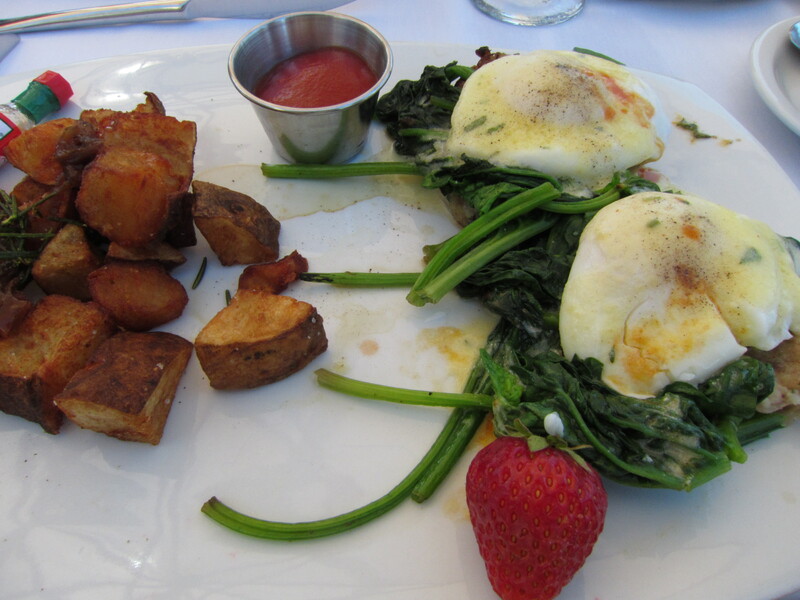 I loved the “Honeymoon” cafe- two ladies own it & cook organic delicious breakfasts and lunches. It’s worth a visit. Nice write-up Beth! Thanks Anneliesz! It’s such a great area to visit for any reason! I will put the Honeymoon cafe on my list. I can’t wait to go back. Thank you for the grand review of Dolphin Bay! Please let us know when you’re back in the area and we’ll give you more tips for great excursions in our heaven of a location! Sounds like a great long July 4th week-end. Next time we drive down to LA we are going to go via the coast so some of your suggestions will come in very handy. Especially where to eat etc. You can take the 101 but get off at a couple of points to enjoy some of the coastal delights. You would really enjoy it. oh im jealous i would love to live in california. my family live in del mar, san diego and i dream of sun and sand! london seems a far cry! Your terrific writing made me jealous of the families who went on this vacation. You wrote it so well. Oh wait we were there. Thanks for being the very best foodie partners. Maybe for the next one a trip to France. We’re looking forward to many more…. 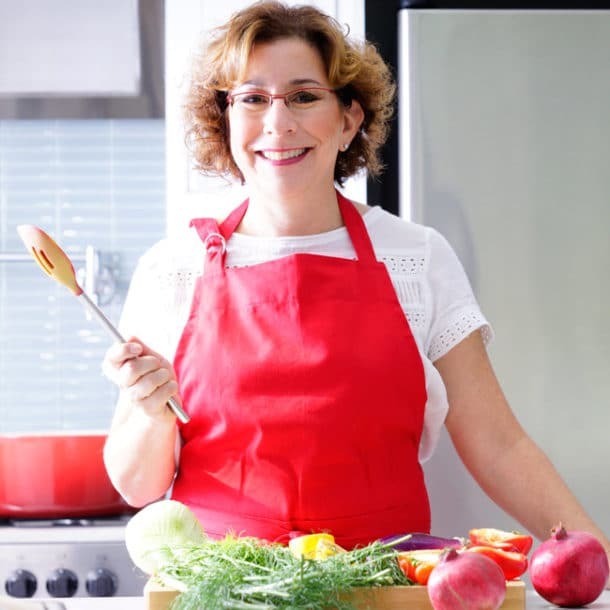 AAAhh – you just made my day “the other foodie family”. Love traveling with you guys and am so glad we are still able to gather with all 4 kids in tow. Have to treasure these opportunities. San Diego is wonderful! Year round sun, fabulous beaches, and great neighborhoods to choose from. London is a far cry but a fabulous place to live as well. My parents love, love, love London and would probably live there part-time if they were a little bit younger! We’ve had two great trips there and would quickly come back for a third. The grass is always greener, isn’t it? Thanks so much for this. After Courtney’s wedding, we tried to go “slowly” down the coast, ending up in LA visiting some old friends of Alan’s. Our trip was not exactly “relaxing” but, in my Monday morning stupor, wishing my November vacation were 3 months sooner, you reminded me of the wonderful time we did have with friends and family. 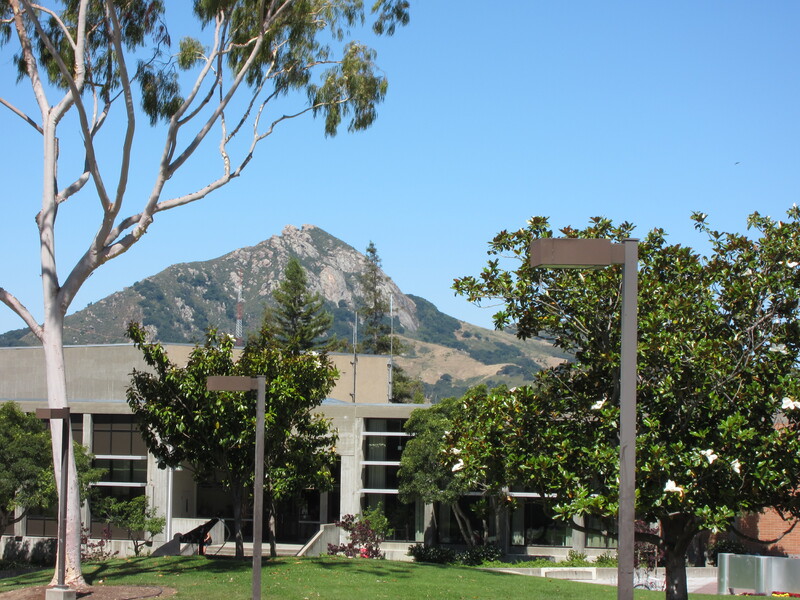 As it happens, we overnighted in SLO-town. Because we arrived late (8:30), we had a difficult time finding a place for dinner (everything closed at 9). Someone steered us to “the Greek place.” Well, it looked rather questionable, but it was absolutely delicious. They make their own fresh pita and the falafel and meats were succulent and fresh. How lucky we were. I saw some of the photos from the wedding! It looked fantastic. Hope it was all that and more.